The wintertime lethargy of this blog is interrupted again by Penny's discovery of a sad little prisoner inside one of those twirly light bulbs which we are encouraged to use these days as 'eco' products. Be the eco benefits as they may, the coils are not a good place for a moth to be; the result risks being a modern version of the ancient proverb which refers to moths and flames. That's what it was in this case, although the victim has been well-preserved in all his or her delicate beauty. What is it? I do not know but am about to enquire of the experts on the Upper Thames Moths blog. it's perhaps a bit supine not to have a guess, though, and mine would be Crambus perlella, because of the long palps. 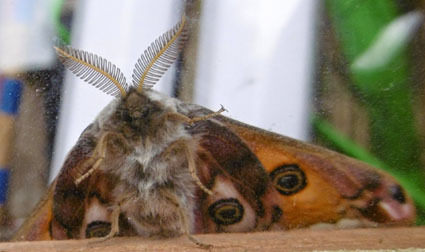 Second choice, Elachista argentella. Both are summer moths but I've no idea when it died. Out of doors has at last gone icy and frosty, as it ought to do in winter, and both I and the trap are having a well-earned break. Happy New Year belatedly, and apologies for the sluggish pace of the blog at this eventful time of the year. Eventful in human terms that is: not merely the demands and excitements of Christmas and New Year celebrations, but the dutiful start on all sorts of time-consuming resolutions. I am struggling to get our family photo albums into the 1990s, for example. Goodness knows what we will do when we reach the digital era's cornucopia of pictures which started around the turn of the Millennium. The moths are contrastingly quiet, although the rain and dark mornings have deterred me from putting out the trap for almost a week now. Today's offerings are therefore inanimate but I hope interesting. They certainly excited me when I opened them as a present from my younger sister and brother-in-law. 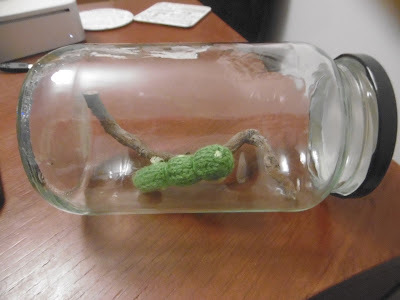 One of my other retirement interests is guerrilla knitting and this has made life easier for those seeking to get me Christmas or birthday presents (none ever turned away; my birthday is on 18 May). 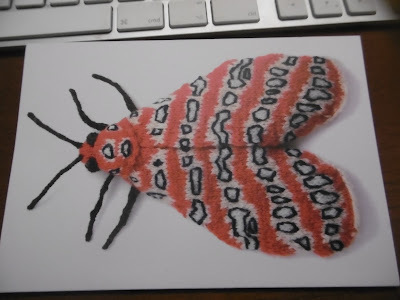 The said sister brilliantly combined the two with the knitted glowworm above - first lit up and then slumbering with its teeny battery exhausted; and the outstanding knitted moth card below. 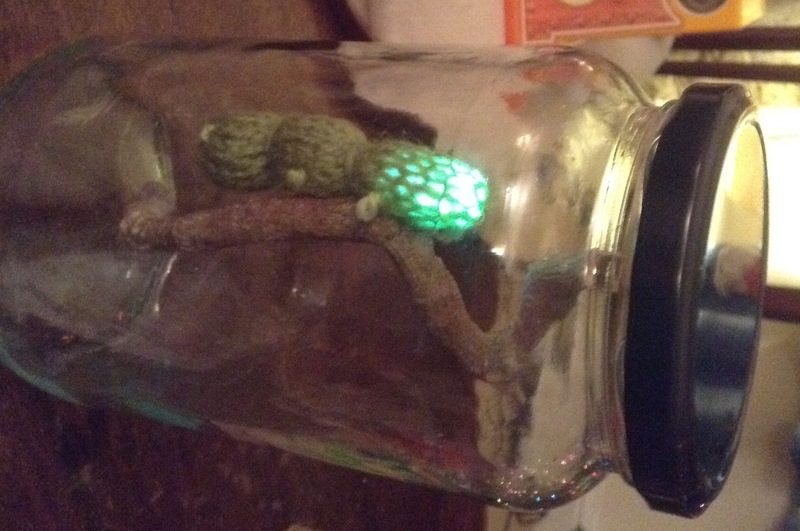 This comes from a wondrous knitted products website called Max's World which you can enjoy here which specialises in moths and reproduces them with an accuracy which astonishes an apprentice yarnbomber such as myself. This moth is Tatargina picta, found in Thailand and points east, and I'm grateful to Thaibugs.com for the picture on the left below. Moths and woolliness have a track record together; one of my favourite caterpillars as a child was the 'woolly bear', the classic undulating hairy beast like an elongated Chewbacca which, if you are lucky, turns into one of the Tiger moths. There is also the matter of the devastation to high quality knitwear and subsequent shame brought to the whole moth world by a couple of Tinea micro 'clothes moths' but we will draw a (synthetic) veil over that.